View More In Showing & Training. Horse and rider are one. Theirs is a relationship of trust, harmony, and respect born of a way of life that is all but lost. One man puts it within our grasp again. 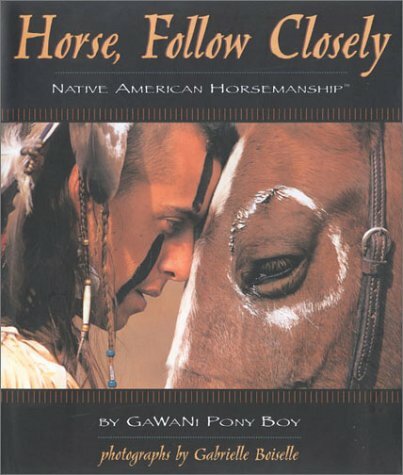 In this magnificent book, GaWaNi Pony Boy illustrates the traditional training methods—methods that are steeped in common sense and age-old wisdom—of his ancestors, America’s first great horsemen. The stunning full-color photographs and simple eloquence takes us back to the days when horse training was not merely about getting results but about creating a bond for life. An inspiration for riders and a feast for horse and Native American culture enthusiasts, this book forges a relationship with readers that few books can ever hope to achieve. If you have any questions about this product by BowTie Press, contact us by completing and submitting the form below. If you are looking for a specif part number, please include it with your message.